Whenever America is involved in a moral debate, whether a national tragedy or change in leadership, her people get into a dispute about what we must do. The goal we should strive for is to consider what we want to change and what needs to be done to achieve it. But instead of doing this, our tendency is to pick the “sacred cow” of of our preferred ideology and substitute it for this investigation. Then, if anyone should disagree with our solution, we accuse them of “not caring” and being willing to let the evil continue. But this is unjust. The person who rejects an ideological solution might simply disagree with the means put forward and think another solution is superior. In that case, the infighting is counterproductive. It leads to nothing being done on the grounds that each thinks that the other solution has no value. The other side of the coin is when a proposed solution is just, but threatens something else we support, the temptation is to downplay the value of that solution, claiming that it will not help us and might cause extra harm. These two things combined make finding the truth difficult. A legitimate solution can be attacked by those who don’t want to follow it, while supporters of an illegitimate solution can savage those with reasonable objections. If we want to find a real solution, we have to be willing to set aside our ideological preferences and search for the truth about a situation. Once we find the truth, we can see what needs to be done in response. But if we start with our own preconceived notions on what must be done, more often than not our “one size fits all” solution won’t fit at all. As Catholics must be the light of the world, the salt of the earth, the city of the world (Matthew 5:13-16), we have no excuse for adding to this confusion. We believe that God forbade bearing false witness. This means we cannot demonize those who have a different idea on how to best carry out Church teaching [†]. Because we believe we have a Church established by Our Lord, given His authority, and protected from teaching error, we must listen to what the Church teaches and base our political views on that teaching. Tragically, we tend to label those teachings we dislike as “prudential judgment” as if a prohibition against doing X was a mere opinion and we were free to do X. This negates our witness that we have the truth for the whole world. If we denounce others for rejecting Church teaching that we happen to agree with while ignoring Church teaching we are at odds with, we are hypocrites. While the world may not be very good at picking up truth, it’s uncomfortably good in spotting when we don’t practice what we preach. So, when there is a tragedy, when there is an election, when there is some sort of national crisis, Catholics need to stop confusing their ideological preferences with seeking out and doing what is right. We can’t replace that with scapegoating and assuming that whoever does not support our ideological ideas must be acting out of bad will. We need to be willing to sacrifice our political preferences in favor of doing what is right if our political preferences are wrong. Unfortunately, it is easy to fall into the temptation of immediately thinking of the “other side” being guilty while never thinking that we might be guilty of the same fault. I’m not talking about moral relativism here. If something is objectively wrong, we have to reject that wrong even if it means incrementally taking it down when outright overturning is impossible. No, I’m talking about our tendency to sneer at the wrongdoing of others but ignoring our own failures and refusing to amend them. When we do this, we are no longer defending what is morally right. Instead, we are fighting a proxy war over ideology while pretending to be morally virtuous. And then we wonder why Christian belief is rejected. So let’s stop using the moral teaching of the Church as a camouflage for our political battles. Let’s make sure our faith shapes our ideology and not the reverse. [†] Of course we must make sure that our “different idea” is not an attempt to evade Church teaching. God is not deceived. Isn’t it Time to Go Beyond the Usual Arguments? 5. Christ’s redemptive work, while essentially concerned with the salvation of men, includes also the renewal of the whole temporal order. Hence the mission of the Church is not only to bring the message and grace of Christ to men but also to penetrate and perfect the temporal order with the spirit of the Gospel. In fulfilling this mission of the Church, the Christian laity exercise their apostolate both in the Church and in the world, in both the spiritual and the temporal orders. These orders, although distinct, are so connected in the singular plan of God that He Himself intends to raise up the whole world again in Christ and to make it a new creation, initially on earth and completely on the last day. In both orders the layman, being simultaneously a believer and a citizen, should be continuously led by the same Christian conscience. With yet another mass shooting and the inevitable arguments over whether laws should be passed, I think there’s one thing that never gets discussed: whether the 2nd Amendment itself needs to be amended. By this I mean it seems like proponents of gun control want to pass laws as if it did not exist and opponents of gun control want to use it to block any meaningful restrictions. I think proponents of gun control need to offer ideas on how it should be reasonably be amended. I think opponents of gun control need to propose solutions on how to prevent mass shootings. But instead, people on both sides offer their same arguments that bring up the same counter-arguments and nothing gets done. From a Catholic perspective, I think we need to move beyond partisan divisions and start *talking* to each other if we are to find a just solution that serves the public good. I would urge all sides to look at the situation without partisan lenses so we can find that just solution. But if we just point fingers and refuse to question ourselves, will that ever happen? Or will we just continue the circle of Shootings—Outrage—Forgetting? As a Catholic, I think we need to break that circle and try to find just solutions, even at the cost of our political views. The syllogism is logically valid [*]. But that does not make the argument true. We must also investigate whether the premises are true. In this case, the problem is in the first premise (antecedent). The history of heresy shows that no matter how sincere a person is in their belief being true, that does not make the belief true. The antecedent is a begging the question fallacy. The person accusing the Church of error has to prove that his interpretation is true. The problem is, the Church has a magisterium which has the authority and responsibility on how to interpret and apply Church teaching (doctrine or discipline) [∞]. Whatever goes against the magisterium is error. If obstinately held, that error is heresy. 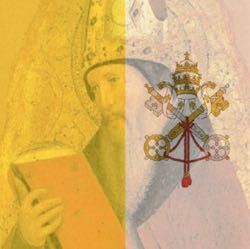 If one refuses to assent to the magisterium, that error becomes schism (See canon 751). So, the antecedent being true requires (A = C). But the consequent (second premise) denies that. Therefore the conclusion is false. Some may bring up the cases of Popes Liberius, Honorius I, and John XXII to argue that Popes can teach error. But the problem is these cases did not involve Popes teaching, but Popes privately held opinions [•]. But the teachings of Amoris Lætitia are not opinions. They are teachings, taught with the same level of authority as St. John Paul II’s Familiaris Consortio (both are Apostolic Exhortations). They are disciplinary teachings—which means a later Pope can legitimately change Pope Francis’ disciplines if he sees it as necessary without that “proving” that Pope Francis was in error [º]. So, the fact that the person opposing the Pope is a priest blogger, concerned bishop, or dubia cardinal, that rank does not give his opposition authority. It’s not for me to judge the state of their souls or their intentions. So I won’t accuse them of malice, heresy, or schism. Rather their words must be judged by whether they match up with the authoritative teaching of the Pope (See canon 750). If they don’t match, it is the critics’ words that must be found wanting—not the Pope’s words. But if we insist on our own interpretation over the magisterium, then we’re no better than previous members of the Church who rejected authority. Church opposed the error of Hippolytus, Arius, Martin Luther, Ulrich Zwingli, Matthew Fox, or Hans Küng—all of whom believed themselves to be right in rejecting a Church teaching. All of us should strive to be faithful to the magisterium under the current Pope and bishops… lest, in the future, the Church should talk about our errors. [†] Ethically, we’re required to put an opponent’s argument into a valid logical form if possible—we can’t create an illogical straw man to make it look bad. [§] This premise is usually assumed, but not stated. The technical term is enthymeme. [*] In classical logic, this is an AOO syllogism. But if the person was not making a universal claim, the argument would be IOO, and logically invalid. [∞] This is not an ipse dixit fallacy here. The Pope and bishops in communion with him IS the valid authority and not an opinion. [•] Scholars disagree over whether Liberius and Honorius I actually held error privately. In the case of John XXII, the issue was not yet defined. So while Church teaching later declared his opinion to be error, he did not reject established Church teaching. [º] I fully expect that clarifications will come either during this pontificate or from his successor.